A dental emergency is a serious accident that fractures or knocks out a tooth or lacerates the gums or other soft tissues in the mouth. 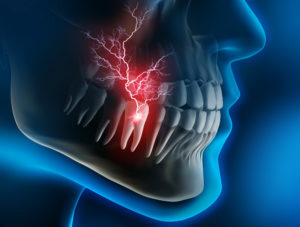 Dental emergencies can be obvious – like getting a tooth knocked out while playing a game of pickup football – or less clear-cut – like waking up with severe tooth pain from an abscessed tooth. Mouth injuries can lead to serious health issues if left untreated, so knowing how to take action in the case of a dental emergency is especially important. Whenever you suffer a serious mouth injury, your first step should be to call an emergency dentist. He or she will provide you care instructions and most likely be able to fit you in for an emergency appointment that very same day. Cracked Tooth – Rinse your mouth with warm water and press a cold compress on your cheek to reduce any swelling. Your dentist may be able to reattach the broken tooth pieces, so save them and bring them with you to the dentist’s office. Severe Toothache – Rinse your mouth with warm water. Knocked Out Tooth – Try to place the tooth back in its original socket. If that fails, put the tooth in a small, secure container with milk until you reach the dentist’s office. Foreign Objects Stuck in Your Mouth – Try to remove the object using dental floss. Never use any type of pointed instrument to pick your teeth. Accidents can happen when you least expect them but taking the right steps when they do occur could mean the difference between saving your tooth or not! Do not hesitate to contact an emergency dentist in Attleboro if you seriously injure your teeth or gums. The verdict is in! With nearly 200 5-star reviews, Capron Park Dental is where many of your neighbors in Attleboro turn to for comprehensive dental care. With three dentists on staff, the team at Capron Park Dental is ready to help with any dental emergency. If you have additional questions about what to do in case of a dental emergency, visit the Capron Park Dental website or call the office at (508) 222-5950.